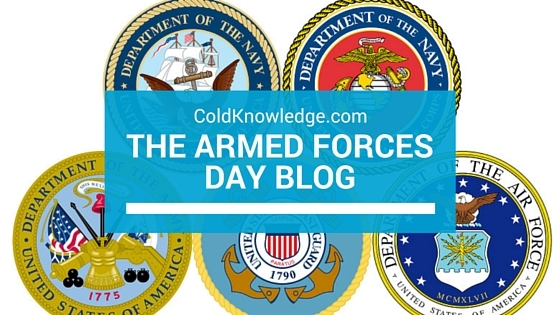 I just want to take the time out to say Happy Armed Forces Day to many brave men and women serving in the service today. Regardless of your job, rank or time in, it takes a lot to serve and it requires a great deal of personal sacrifice to put the needs of the nation before your own. A lot of you brave guys have family back home with great needs, so for you to be able to balance that and serving your country is nothing short of amazing. There are a lot of people that don't agree with what goes on beyond our borders but one thing is for sure, they fully support you in whatever you're given orders to do. Whether it's thousands of miles away from home, across the country from your home, or right down the street from your house, just know you are greatly appreciated. To all of the veterans that served their time honorably and came home, we thank you as well. You've given all you could in defense of your home and this great nation, and that will never be forgotten. You guys went over there and did things to ensure that freedom and peace is secured for this great nation and you are greatly appreciated for that as well. More so your families are proud of you for what you have done to ensure them the American dream, your communities as a whole are thankful for you protecting us and allowing us to thrive and function as a society. Throughout it all, you are greatly appreciated as well. And to all of those that have given the ultimate sacrifice, we thank you the most. You paid the ultimate price for our freedom and without your sacrifice we probably wouldn't be here today having this post being written. We thank the families of those that are fallen because without them, they wouldn't have a reason or sense of duty to give their life for. They put it all on the line because they believe in you and your future to lead this country to better. Those fallen soldiers get the utmost respect from me because they did the greatest act of unselfishness known to man. Today is for you most of all. I'm proud to have served in the United States Army, no matter how short the time was. I know a lot of good men that lost their lives during the two wars from before I joined and well after it. I know a lot of people that actually try their hardest to be the best solider that they could be, regardless of how macho they come off. Like I said before, regardless of your job, rank or time in, it takes a great deal to serve your country and the sacrifices that are needed are enormous. There is not enough admiration for you fine folks in this world. Thank you for your service, without you, there would be no me.